Edward H. Dembowski, 76, beloved husband of Marie (White) Dembowski, passed away March 31, 2018 at his home with his family by his side. He was born in Lynn, MA, August 8, 1941, son of the late William and Stephanie (Kwiecinski) Dembowski. 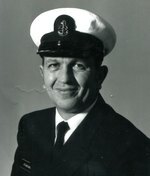 Edward was a veteran of the US Navy serving 28 years with the naval reserve. He served at NAS So. Weymouth, MA, NAS Alameda, CA and was called to active duty during Desert Shield/Desert Storm and was stationed at NAS Rota Spain. Edward attained the rank of Senior Chief/E8 and was awarded the Navy Achievement Medal. His professional career was spent with Northeast Airlines then Delta Air Lines in Boston, as well as San Francisco and Bangor, as an aircraft mechanic. Surviving in addition to his wife, are one daughter, Elaine LaBree of Glenburn; three granddaughters, Emma, Chloe and Grace LaBree; many cousins and friends. A special thank you to Richard and Helen Veazie for their love and support during this time. A Funeral Liturgy outside of Mass will be held 1 pm. Friday, April 6, 2018 at Brookings-Smith, 133 Center St., Bangor, where relatives and friends are invited to call 12 noon until time of service. The Rite of Committal will follow at Mt. Pleasant Catholic Cemetery, Ohio St., Bangor. The family invites relatives and friends to share conversation and refreshments at the Family Reception Center of Brookings-Smith 163 Center St. Bangor, following the burial..